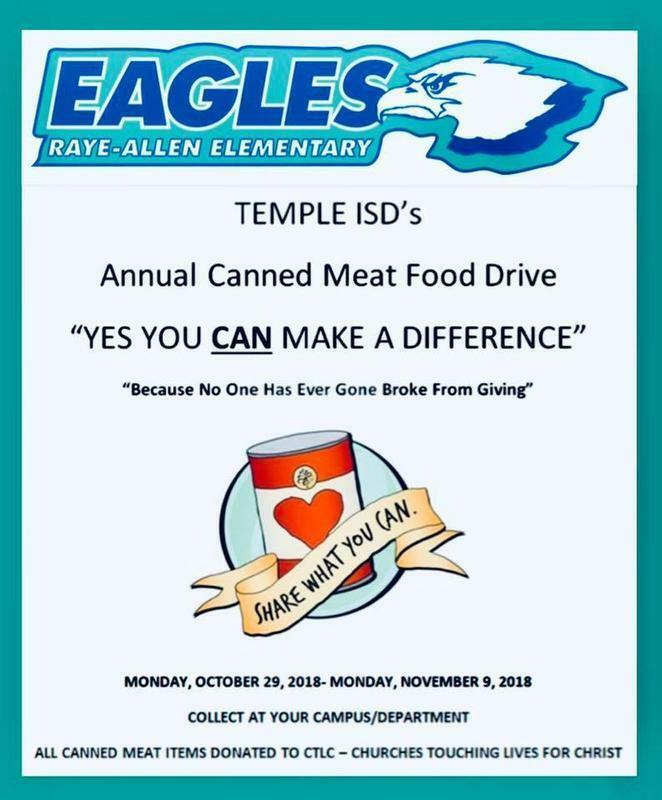 Raye-Allen is participating in the TISD Annual Canned Food Drive. ALL canned foods will be accepted. (flyer says canned meats but all cans are accepted) The homeroom class that collects the most cans will win a snack party! The food drive will take place from October 29th-November 9th. We hope to meet our goal and collect the most cans in the district! GO EAGLES! !